I shared a conversation with a mart manager over the weekend which probably encapsulates how many in the beef trade now see the end of 2018. Factory prices for our beef are well on the wrong side of the EU average, poor quality dairy-cross stock multiplying across the entire system as dairy expansion is allowed to develop unchecked, and the suckler man demoralised and paralysed as those dairy animals clog factory gates. Left out from the above list is the shipping trade, left out because this mart man believes, as do many others I have spoken to, that it has the potential to release some of the pressure in the system caused by those increasing dairy numbers. The belief among many is that there exists a huge disparity in priority between shipping and the factory trade when it comes to the Department of Agriculture and the Government. This mart man was adamant on this point. 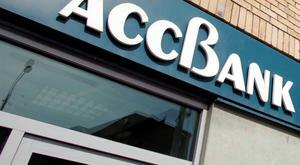 "Go back over the years, how many times have you seen the meat factories getting grants? They got money for consolidation, they got grants to put in the grading machines, they get development grants, Bord Bia touts their wares across Europe, the EU guarantees intervention. What do shippers get? 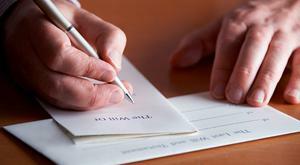 Red tape and endless delays," he claimed. "If quality beef finishing in Ireland is to survive, we need a fully motivated shipping agency." Figures from the Department show that to the start of November this year, 230,356 animals left the Republic live as opposed to 175,842 for the first 10 months of 2017. The problem is that despite that increase, what really needs to be shifted are those increasing numbers of poorer dairy-cross calves. 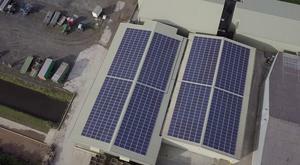 "Realistically we need to shift a lot more of those types than anything else. 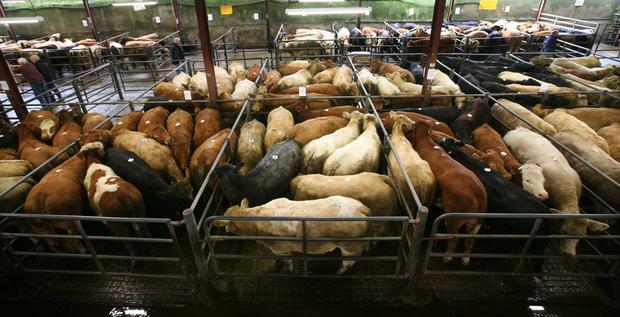 Minister Creed and the Department need to look at putting a bounty on the heads of calves for export," said the mart man. "If we're going to put the value back into the better lighter animal at marts, you need to take the rubbish out of the system. There needs to be an incentive for shippers to buy those poorer types. "Let it be an animal welfare haulage subsidy." Looking very quickly at the Ringside figures, we see the continuing lack of movement on domestic factory prices, feeding into a general malaise in relation to the weanling trade, with almost all categories back by 7-19c/kg in the case of the bulls and 4-10c/kg for heifers. Overall average prices and top quarter returns on the bullock table slipped by 1-8c/kg last week, while the poorer-quality steer either stayed as he was or rose by up to 8c/kg. Movement on the heifer table was restricted to a tight band that ran from plus 3c/kg to minus 3c/kg. In summary, for those with cattle still to buy, sale numbers are gradually easing back but so also is the quality in some areas. 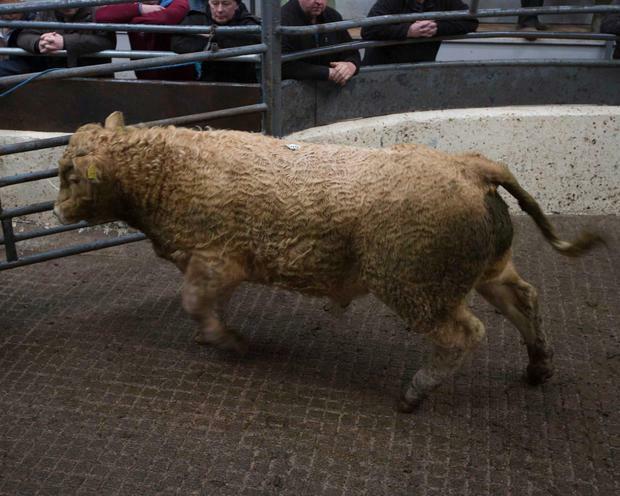 Michael Harty reported "few extra men" around the ring at his last sale - "mainly lads topping up". All of which did no harm at all. In the 500-550kg bullock section, the better Charolais saw prices from €1,250-1,300/hd, while the better Aberdeen Angus at 430kg fell a little short of €2/kg at €820/hd. Dairy influence on the Angus, and other breeds, continues to see their prices being diluted, with Angus making €650 or €1.76/kg. Some poorer Hereford types also operated around that €1.70-1.75/kg mark. Cull cows saw prices average from just over a €/kg to €100/hd under the weight. Thomas Potterton also reported a good scatter of customers and a trade that saw the 450-550kg bullock average from €1.78-2.01/kg. The question is, do those figures represent the vagaries of the market place or do they show up the advantages of better breeding, as both figures come from cattle with Aberdeen Angus on their cards? 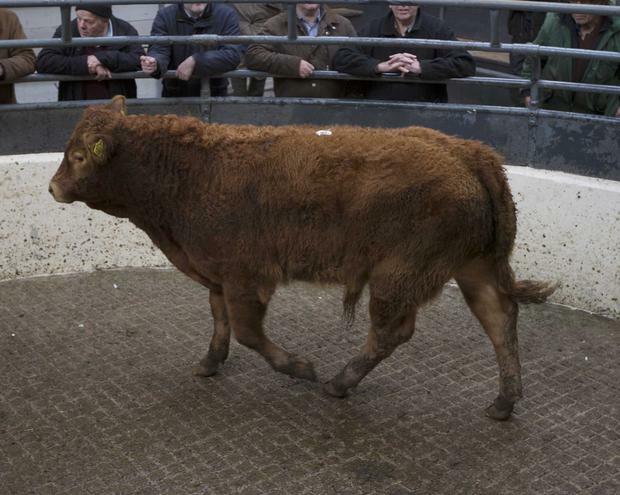 The best-performing section on the day were 600kg+ bullocks, where prices ran from €1.77-2.39/kg. Among the heifers, the 300-400kg section averaged €1.64-2.22/kg, with heaver lots reaching €2.07/kg. "Trade is improved from a few weeks ago due to numbers being back, and a few extra customers around," said Barney O'Connell of the trade down in the Kingdom. 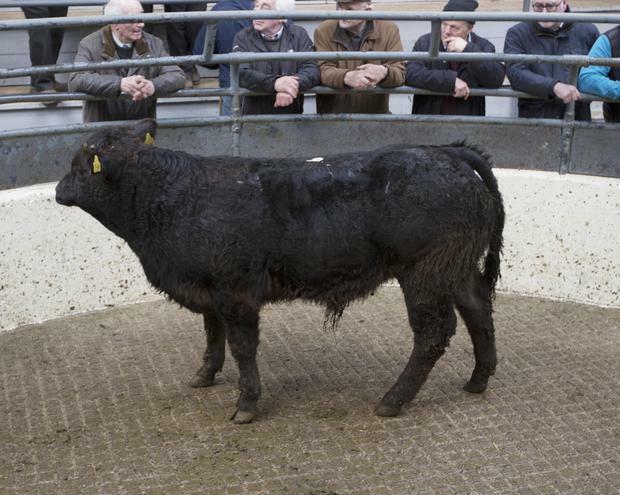 The standout sale for me among a small show of bullocks came in the form of 17 475kg Aberdeen Angus that sold in an eight and a nine who clicked €820/hd or €1.73/kg. There was a good show of cull cows, with most Friesians selling around the €1/kg mark or a little under, but some did dip close to 50c/kg, while at the other end, one 765kg Friesian made €1.30/kg. "There's one for everyone in the audience" - a handy Late Late Show catchphrase, and one that probably encapsulates the spectrum of weanlings at Glen Cooper's last sale. "Trade was very solid, with some exceptional prices among the heifers," Glen said. 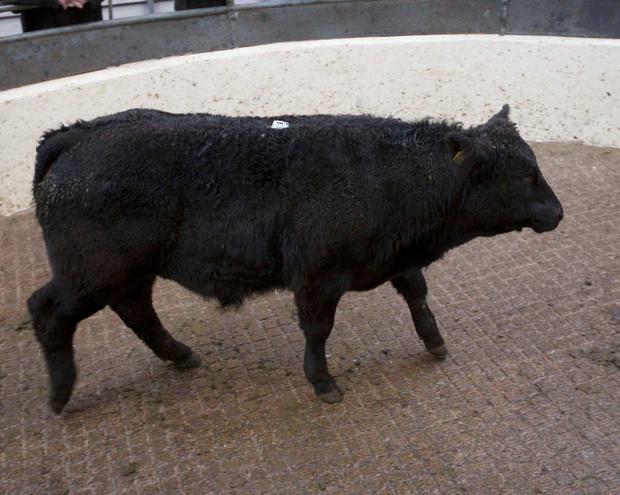 Average prices among the 400-500kg bulls were around the €2.40-2.50/kg mark, with lighter lots pushing on from there. It was noticeable that there were only a limited numbers of customers for anything of lesser quality. The standout price among the heifers saw a 465kg Belgian Blue click €1,820/kg (€3.91/kg), with a 655kg Blue bull making €2,200 (€3.36/kg). 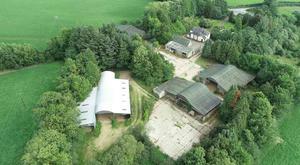 This sale saw very good numbers present, with the trade buoyant amid "intense bidding". Generally, 300-400kg bullocks averaged €2.21/kg, with the better 400-500kg store averaging €2.27/kg. Heavier 500kg + steers were slightly up on the previous week, ending the day on an average of €2.08/kg. 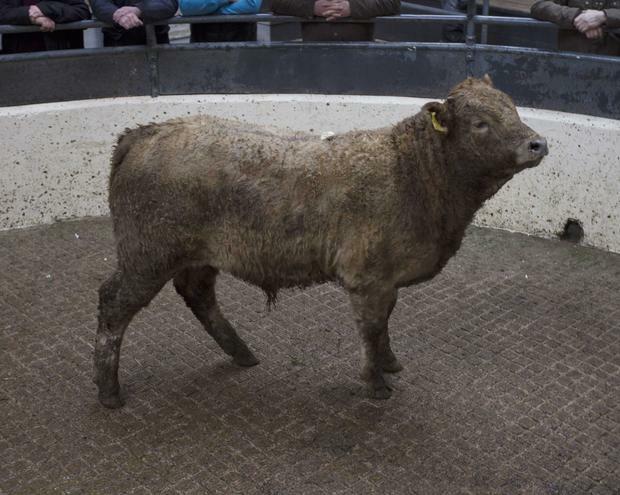 The heifer trade saw those under 400kgs averaging €2.19/kg, with the 400-500kg animal seeing a 485kg Charolais hitting the top price of€2.48/kg. 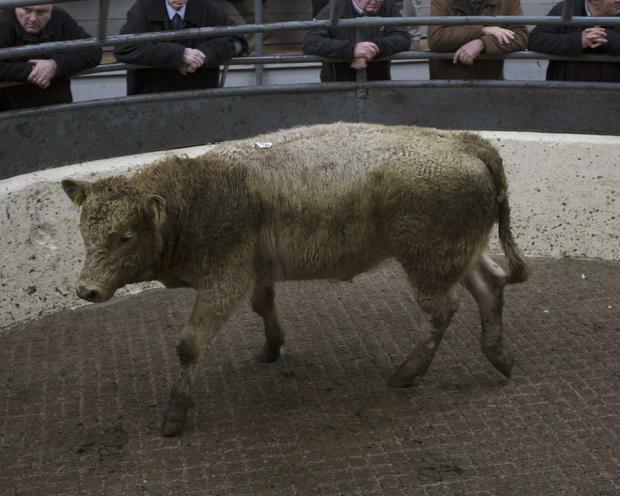 The 500kg+ division saw some of the heaviest action, with the overall average price up on the previous week at €2.20/kg. Numbers here continued strong, however, quality - as elsewhere - was variable. 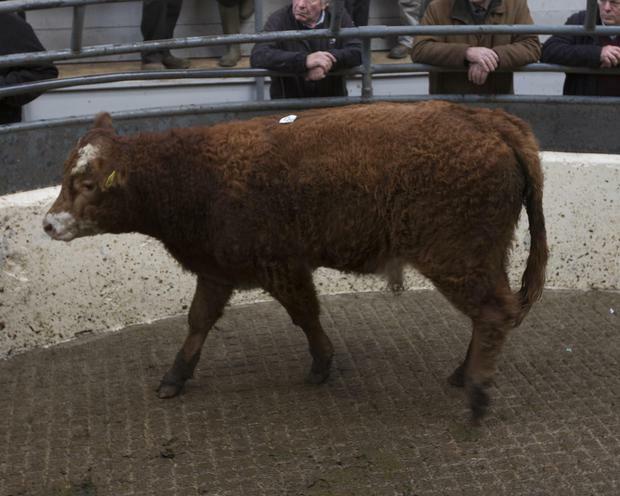 Sample prices among the bullocks saw those better heavy continentals from 680-720kg making €2.11-2.19/kg. A 725kg Friesian clicked €1.64/kg, with €1.70/kg being the eventual agreement on a 738kg Hereford. 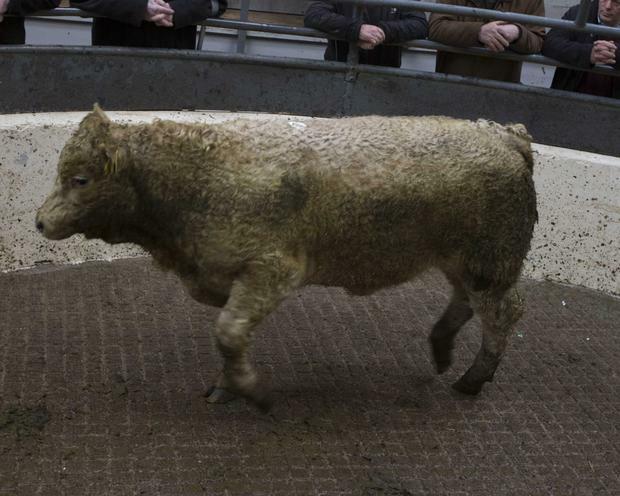 In the store section were three 433kg Charolais that made €2.50/kg. 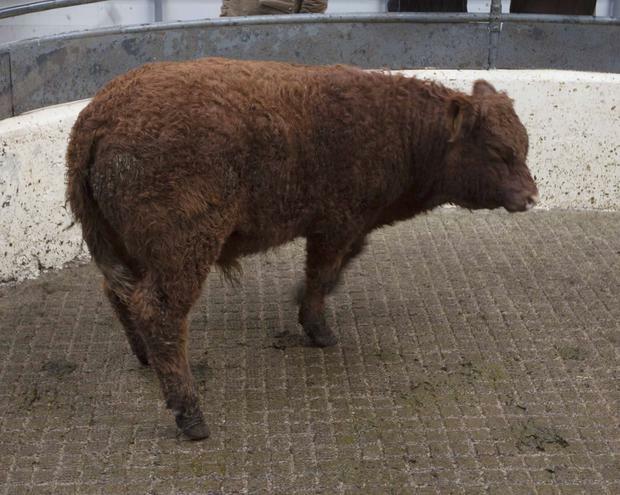 However, two Limousins at the same weight cracked on to €2.77/kg. The Hereford trade at store weights topped out around the €2.00/kg mark. 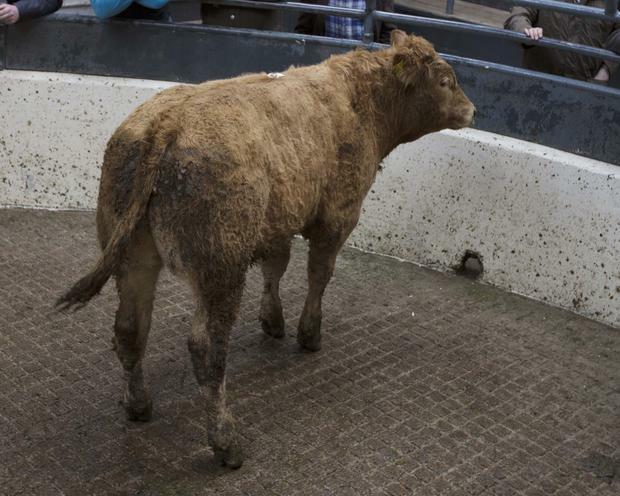 There was a good entry of stock here, and as elsewhere, a few more men about to mop up, leading to a well-maintained trade which saw beef and forward bullocks selling from €540-930/hd with the €/kg. Continental store bullocks made from € 450-860/hd over the €/kg with Friesian stores making from €60-580/hd over their weight. On the heifer side, beef heifers made from €530-880/hd over the €/kg, with store heifers making from €310-725/hd over the €/kg. Beef cows sold from €310-725/hd over the weight, with store cows making from €130/hd under the €/kg to €310/hd over their weight.